An energy efficient home not only saves you money, it also reduces the growing strain on the America’s resources. Even by changing a few of your light bulbs to Compact Fluorescent Light bulbs makes a world of difference on the environment and on your energy bill. CFL’s – Change your light bulbs to Compact Fluorescent Light bulbs. CFL’s last 10 times longer, produce 70% less heat, and they use just a fraction of the energy than incandescent bulbs. Natural Light – Consider adding skylights, sun tunnels, and well placed mirrors. Some studies have proven that natural daylight can help to improve your health when ill.
Modern Appliances – Replace your major appliances if they are 15 years or older. Refrigerators, heaters, and air conditioners 20 years ago used twice as much energy as they do today. Look for the Energy Star logo. Insulation – Have an insulation sub-contractor look at your insulation if you don’t what is behind your walls or if it was built before 1981. Some houses that are 100 years old don’t even have insulation. It may cost $10,000 upfront, but your energy bill could be cut in half when your home is insulated properly. Don’t forget to insulate your attic, crawl spaces, foundation, and hot water pipes. Caulking and Sealing – With all the ducts, pipes, and outlets running in and out of your house you might as well have a window open in January if they aren’t properly sealed. Walk around your house once or twice a year and look for cracks in previously caulked areas like doors, windows, trim, pipes, and outlets. If there’s a crack, caulk it. Windows and Locks – When running the AC or the heat, be sure to close and LOCK the windows. Every window manufacturer designs the windows to seal tightly when the window is locked, not just closed. Also, consider replacing your windows with double-pane windows with a U-value of 0.35 or lower if you haven’t yet. Building Envelope – Make it tight, vent it right! Most subjects in today’s entry lead to the building envelope hence, it is the most important topic to focus on when making your house efficient because it includes interior, exterior, and all the cracks in between. 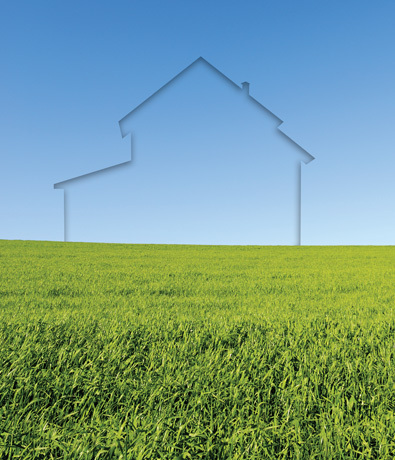 There are 5 principles of green building that we live by in building. In order to have a truly green home you need to look at all of these items. The next few days we will be exploring what all of these mean and how you can adapt these principles into your existing home or your a future home. There are a few things that drive me nuts about “green” building. When I was at the International Builders Show back in February everyone said they were ‘green.’ All the suppliers had the latest and greatest ‘green’ product. Here are just a few things that I look for when I am considering whether a product is green or not. That’s just a start. I would beware of products that claim they are green. A few years ago everyone wanted bamboo flooring because it’s a quickly renewable resource. At the time we weren’t talking about it being shipped from Asia and think about all the fuel that was consumed to get it to MN. Keep in mind where the product is coming from. Wellborn Cabinets just updated their website with all of their fun new finishes. They have increased the amount of options by 86%. That makes it a total of 2757 door styles and finishes.